Facebook has been urged to add "panic buttons" to its pages by the head of a British child protection agency at a meeting in Washington DC. 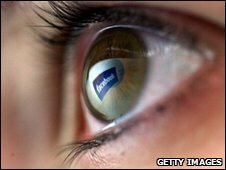 Facebook has been criticised by the Child Exploitation and Online Protection (Ceop) centre for not having "panic buttons" on every page. 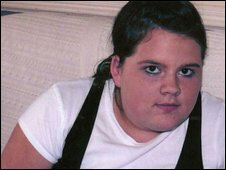 Ceop's director Jim Gamble said the matter was urgent after the murder of a teenager by a man she met on the site. Facebook has said it takes the issue seriously and welcomed the meeting. Speaking after the four-hour meeting, Mr Gamble said Facebook was "one small step from doing the right thing" but had not agreed to his demands outright. He said: "What I am pleased about is there is a commitment from them to improve what they provide to UK policing. "There is no doubt they are looking to improve their position around child safety and we recognise that. What I am looking for is turning words into action." "In our view they are experts at creating a fantastic online environment but they are not experts in law enforcement, the power of deterrents and the reassurance it brings for mums and dads." Chief constables from across England and Wales, including Scotland Yard Commissioner Sir Paul Stephenson, have signed a letter supporting the addition of the extra safety feature. Facebook had previously said it would not install a "panic button" on its main pages for users to report suspected paedophiles, but would develop its existing system. The company said it would install links to organisations including Ceop on its reporting pages but Mr Gamble said he could not understand why Facebook would not agree to adopt the button on every page as it was a free way to "help save some children". "If you're going to operate a business that encourages people to frequent your public place so that you can advertise to them, then let's look after them while they're there." Last week Mr Gamble announced the agency had received 252 complaints about Facebook during the first three months of the year - with 40% of them about the potential "grooming" of children. He said the complaints had come via e-mails and people using other means to complain to the centre as they could not do so via Facebook. The figures were revealed as part of Ceop's campaign to persuade Facebook to change its mind. The "panic button" in question is already used by other websites, including Bebo. Clicking on it takes people to a site that details how to handle cyberbullying, hacking, viruses, distressing material and inappropriate sexual behaviour. Mr Gamble said the issue was an urgent one, especially after the murder of 17-year-old student Ashleigh Hall in County Durham last October by Peter Chapman, a man she met via the site. Last month Chapman, 33, was jailed for at least 35 years for the killing. The teenager had been raped, suffocated and her body dumped in a field near Sedgefield, County Durham, after agreeing to meet Chapman. Earlier that month, she had been attracted by a picture of a young, bare-chested man that Chapman - calling himself Peter Cartwright - had posted on Facebook. Facebook said it was "deeply saddened by the tragic death".